Yesterday, I enjoyed a 90-minute conversation with an engineer and first time patient who has been wanting to try TA-65 for years. We chatted about the problem of dogma in history, economics, and scientific dogma. I realized that there are many people who move easily through topics because as Kant defined illumination, some of us have outgrown a need to not sound stupid as I blogged about recently. 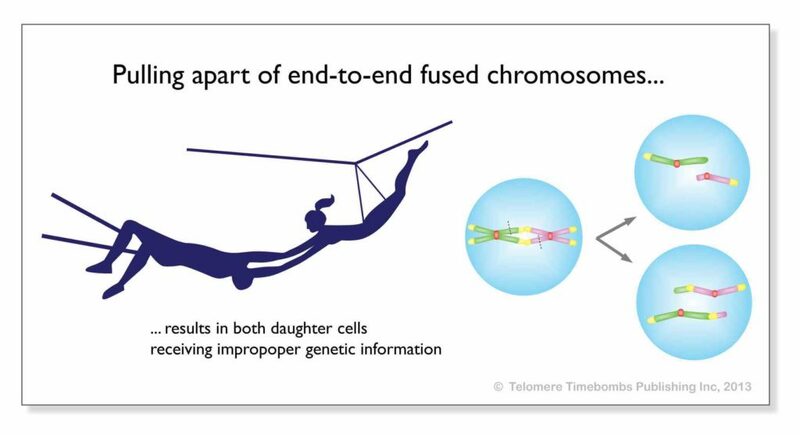 So today, I write a short blog about how dogma about cancer aneuploidy (or the wrong number of chromosomes) missed the most obvious insight imaginable. I was able to guess it without any fancy lab or publications to my name; how did they miss it?
) Every time a cell copies, the data integrity can only diminish, not improve and so we gradual become genetic mosaic or chimeras unto our aboriginal selves.
) Slower typographical senescence or drift away from the ideal is accelerated by cataclysmic mutations allowed by telomere shortening. 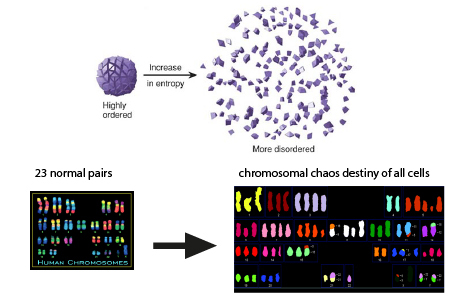 End-to-end fusions of chromosomes is the mechanism of this chromothirpsis (massive simultaneous mutations occurring in chromosomes). Here is an article explaining and a video as well.
) Planned obsolescence of the non-stem cells is part of the system. Like leaves on a tree, they are intended to be expendable.
) Depletion of relatively intact master copy stem cell reserves over time is what drives the collapse of the system over a lifetime. What is entropy? It is the disorder of any system which increases unless there is a reversible reaction. Since typographical errors and mutation are not reversible, the entropy of the system will increase and so we age and get ill.
For more than 100 years, researchers have been unable to explain why cancer cells contain abnormal numbers of chromosomes, a phenomenon known as aneuploidy. Many believed aneuploidy was simply a random byproduct of cancer. 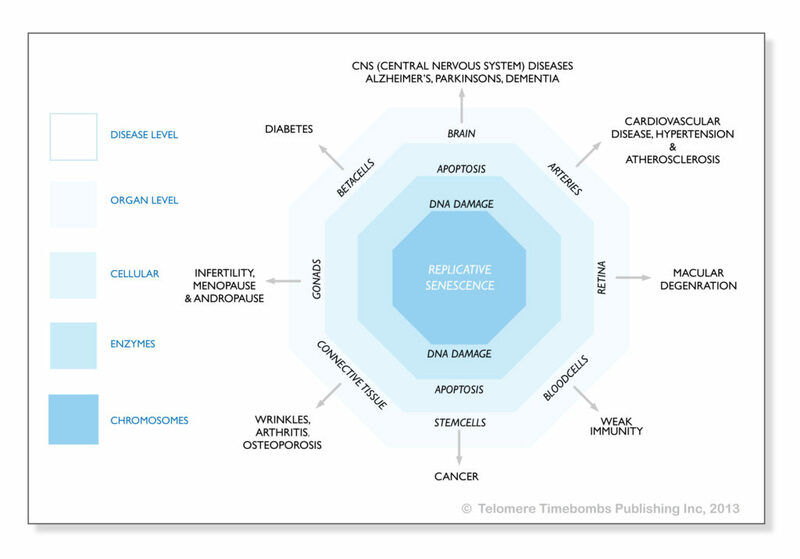 The reason that I was able to intuitively happen upon the unified theory of telomere erosion in stem cells as the common cause in aging and most diseases is that I approached the question with a beginner’s mind and no fixed dogma. For more that 100 years, people just assumed that cancer caused aneuploidy instead of vice versa. This is an error on par with believing that the chicken came before the egg when eggs existed for long before chickens (duh). Dogma tells us that scarcity and conflict are the pillars of history contrary to my plan for world peace. Dogma tells us that economic assumptions such as fiat currency, interest rates, and population demographics are predictable contrary to what I suggest in this blog about post-capitalist basic income. Dogma tells us that there are many possible explanations for cancer, aging, and disease; I believe there is really only one. 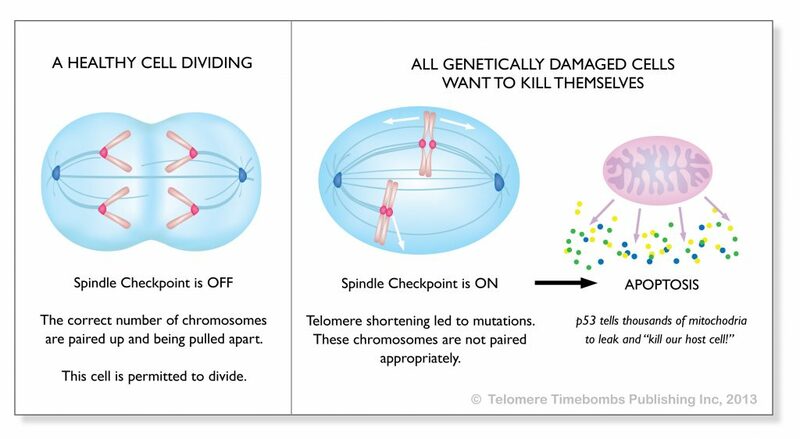 True wisdom comes when you realize that this telomere shortening, mutation of chromosomes, and cell death is morally neutral and enables both efficiency of our machine and extreme longevity. Non-stem cells all mutate and die off in this way. But even stem cells usually kill themselves after they mutate in this manner. So, cancer is not as rare or robust as we might think; it is actually a potentiality enabled by weak immunity and a very rare set of circumstances both within the affected stem cell and amidst the host milieu.